You’ve finally made the decision to invest in a new heating and cooling system. Chances are, you’ll encounter new options, new technologies, and upgraded features in current HVAC systems. While this is great, it can make shopping for a new system more challenging—but at least it’s a great “problem” to have. Like any major purchase, it’s helpful to ask yourself some questions to guide your decision. By taking this approach, you can get what you want at a price you can live with. Here are 4 questions to ask yourself when buying a new HVAC system for your home. 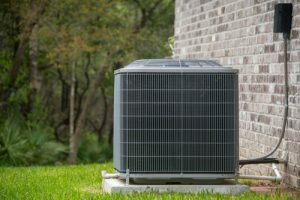 What size HVAC system is ideal for my home? There are a few factors to consider with this question. Look at weather, home size and factors affecting your energy efficiency. It doesn’t hurt to have an energy assessment done on your home, and upgrade things that will help regulate heating and cooling abilities. Next, do your research or speak with a HVAC technician to determine your HVAC size needs. Too small, and it will run constantly, and too big, it may not run as often as it should, leaving you open to humidity issues. What type of maintenance will I need? Once your HVAC system is installed, what will you need to maintain? Find out about filter changes, regular maintenance, and warranties. To avoid costly repairs and promote top performance, it’s helpful to have a preventative maintenance plan in place. Factor the cost to do so into your overall budget. Like a car, the price tag is only one aspect of the cost. How much can a higher end unit potentially save you in energy bills? Are there any incentives or rebates available on particular systems? How much will you need to spend on installation and regular maintenance? Take a look at the whole picture before deciding. What thermostat do I want? Select a thermostat that optimizes the efficiency of your system, but also fits well with your lifestyle. An HVAC professional can give you pros and cons. Call 281-651-5484, 936-271-2030 or contact Bradbury Brothers Heating & Air Conditioning if you have any questions!